Yesterday I was planning on going to the Fish Counter for lunch...but turns out they were closed! Thankfully I have a whole list of restaurants bookmarked on Yelp as a backup plan LOL!! 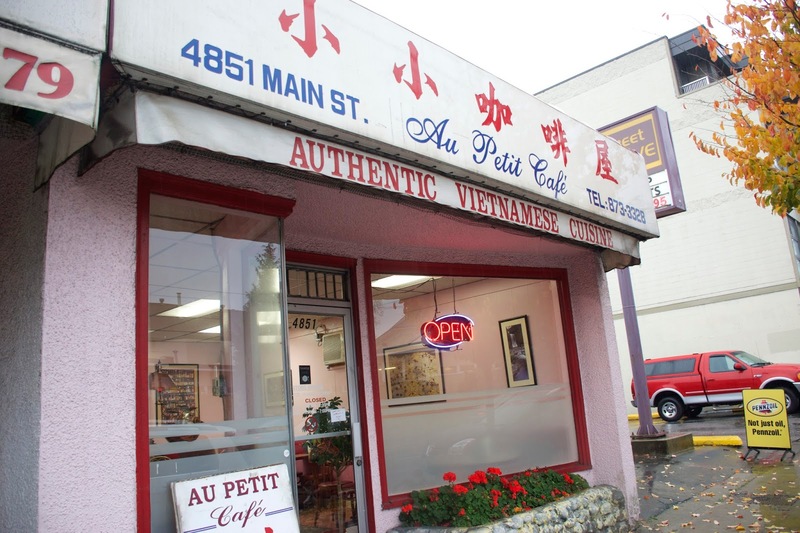 I've been hearing a great ton of things about this little whole in the wall, Au Petit Cafe!! Apparently I got lucky because this place always has lineup haha! So many people were calling in and ordering take out! 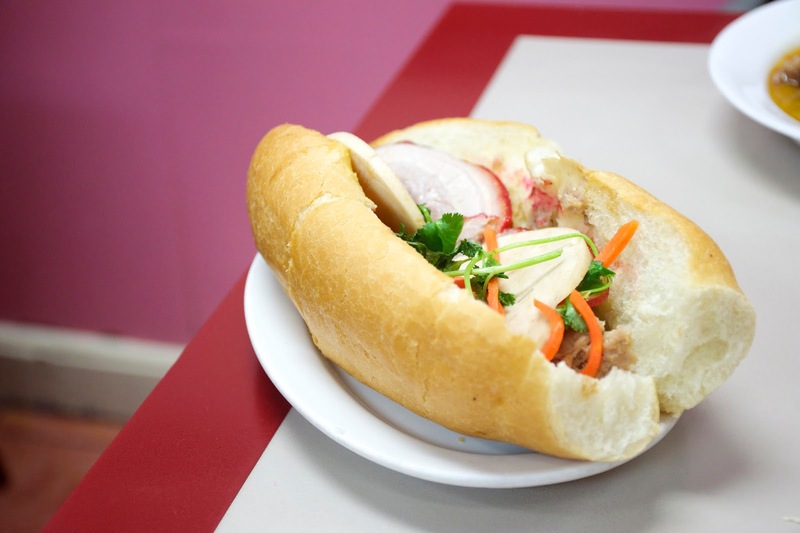 If you're planning on getting one of their banh mis, act fast, because they sell out before 1:30 pm! The family that runs this place is so nice! They seem to genuinely care about their customers and it really shows. Seriously one of the friendliest Vietnamese restaurants I've ever been to in a while lol! I overheard the guy running the cash register asking everyone how they enjoyed their meal after they were done eating! My waitress was really friendly as well, genuinely happy and smiling the whole time! This is what they're famous for! Their Banh Mi!! Their house special banh mi has char siu, vietnamese ham, and meatball in it! The meat ball was soft and flavourful, and the char siu pieces had just the right amount of fat! The bread was perfectly toasted and crunchy on the outside! This was awesomee!! I actually liked this more than the banh mi hehe! The curry was on the sweeter side, super flavourful, with just a hint of spiciness at the end! The beef brisket was amazingly tender and soft! The tendon wasn't rubbery either which really impressed me! The carrot pieces were soft and had soaked up all the flavours of the sauce! 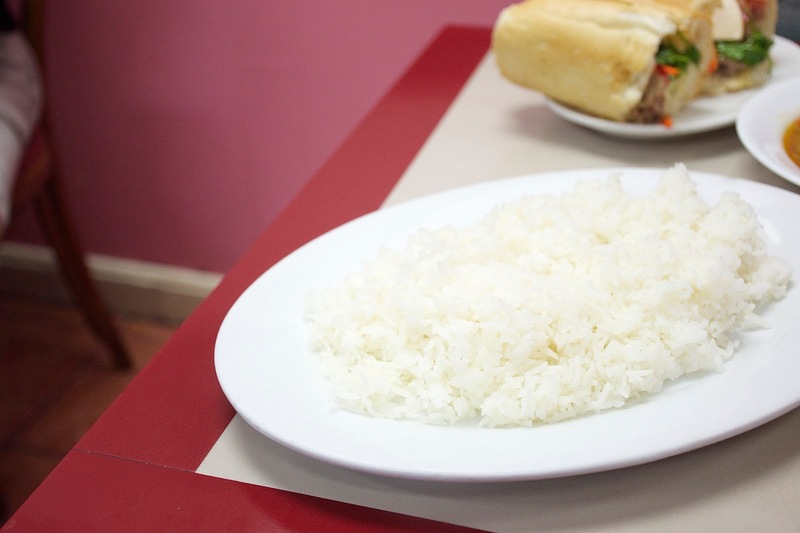 You can get a side of rice or french bread with every combo, and I got the rice, since I had already ordered the banh mi! The rice was soft, fluffy, with just the right amount for the beef curry! Next time, go to the corner of 33 Ave to Bon Cafe and try their $4 grilled pork banh mi (menu #5). You won't regret it !! IMHO Bon's banh mi's are better in terms of fillings, but their buns are not as consistent as that of APC's. Having said that, APC's is 25% more "expensive" and I feel ripped off by APC's banh mi fillings, that I prefer Bon's overall. Also at Bon you can get a bahn mi combo (pick any choice) adding one cha gio (fried roll) and a can of pop for $7. 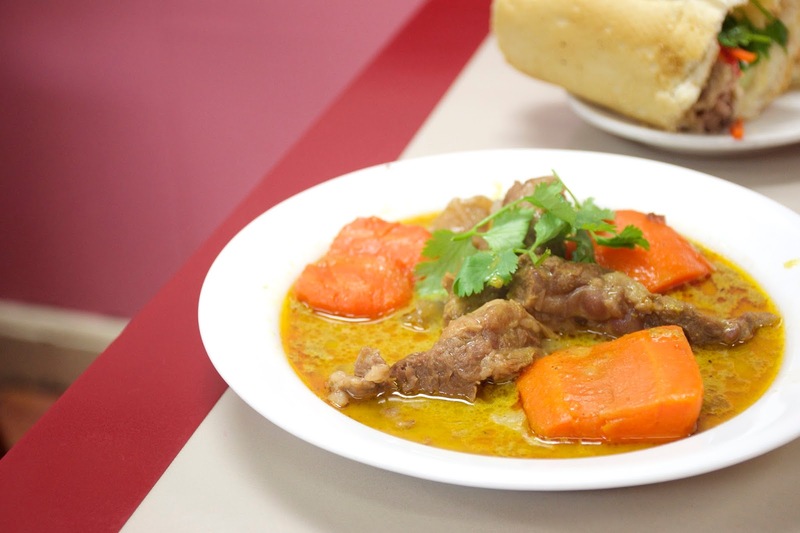 Bon's other dishes are all at par with many other Viet restaurants, but a notch below places like Green Lemongrass, Thai Son, Green Bamboo, Le Petit Saigon, Le Do, My Chau, etc. LOL I felt the same way about APC! It was a too hyped up imo! Still good, but not as great as I was expecting!